Do you find yourself answering questions about the directions that you just gave your class? Does your voice get hoarse from repeating yourself? Do you feel like you have tried everything but still your students aren’t listening? Observe your class during their lesson with the librarian or school counselor. Look for signs of active listening. Sometimes we assume that our students are actively listening when they are quiet. This isn’t always true. Listening is a skill like reading or playing soccer that you need to practice in order to improve. Engage your students when giving important directions. Example: “Boys and girls hold up one first and repeat after me, the first step of this assignment is ____”, (class repeats while holding up one finger), “Now class hold up 2 fingers and repeat, the second step of what I will do is _____”, (class repeats while holding up two fingers), continue until all of the directions are given. If your class is sitting at their table or desk, you can ask them to stand up when they repeat what you say, and sit down when they listen to you. Movement helps engage them and with the wiggles. If you can hear me tap your chin. If you can hear me jump 2 times. If you can hear me flap your arms like a chicken. If you can hear me touch your left elbow. Mental math: teacher or student leader gives math problems to the class. 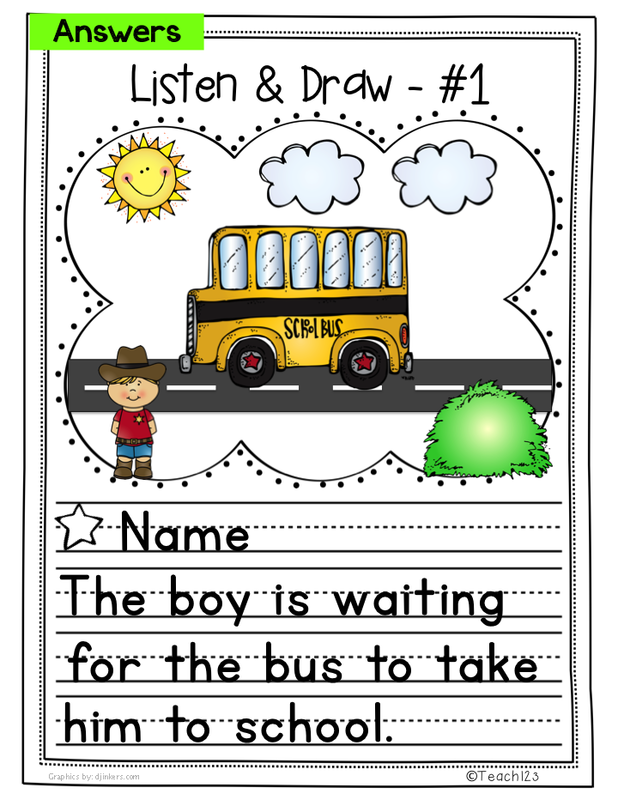 Great activity to use when class is waiting in line. In order to actively listen, students need to concentrate on what the speaker is saying. This skill requires stamina. Practice! Practice! Practice! Assessing listening skills can be done formally and informally. You will notice that you have to repeat directions less often as your students’ listening skills improve (informal assessment). It is helpful if you have a baseline of where your students begin to see how they improve during the school year. Listening skills can cause academic and behavior problems for students. This is one more tool to add to your teacher toolbox. 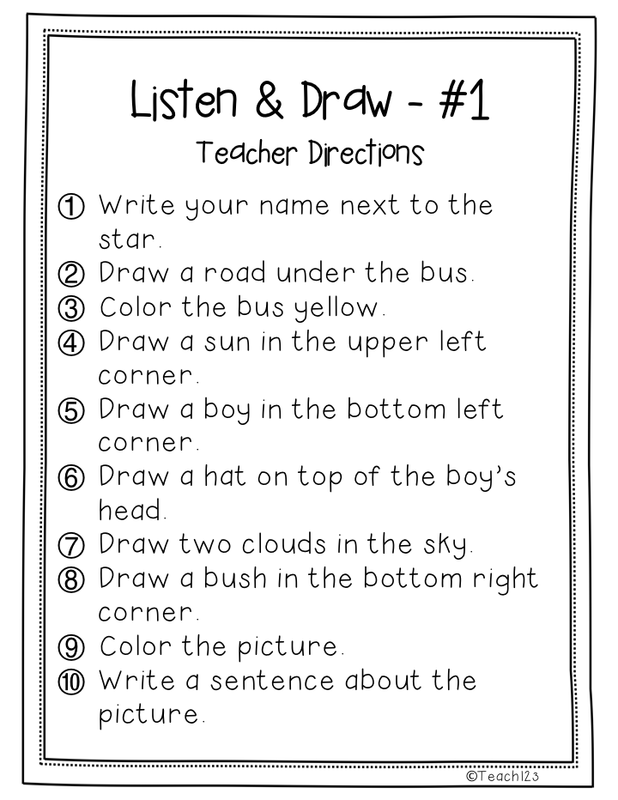 Listen and Draw is an activity that is a non-threatening way to assess your students’ listening skills. I recommend doing activities like these at the beginning of the year and at least once a month throughout the year. It is helpful documentation for parent-teacher conference, R.T.I., and other times when you are looking at behavior or academic issues. Listening skills impact many areas in the classroom. I have a FREE sample that you can use with your class. 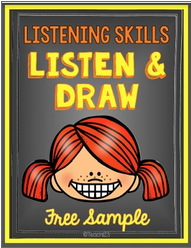 Listen & Draw – PLUS: includes additional materials that the other files do not include. These materials include: QR Codes, MP3 files, assessment tools, brag tags, and happy notes. 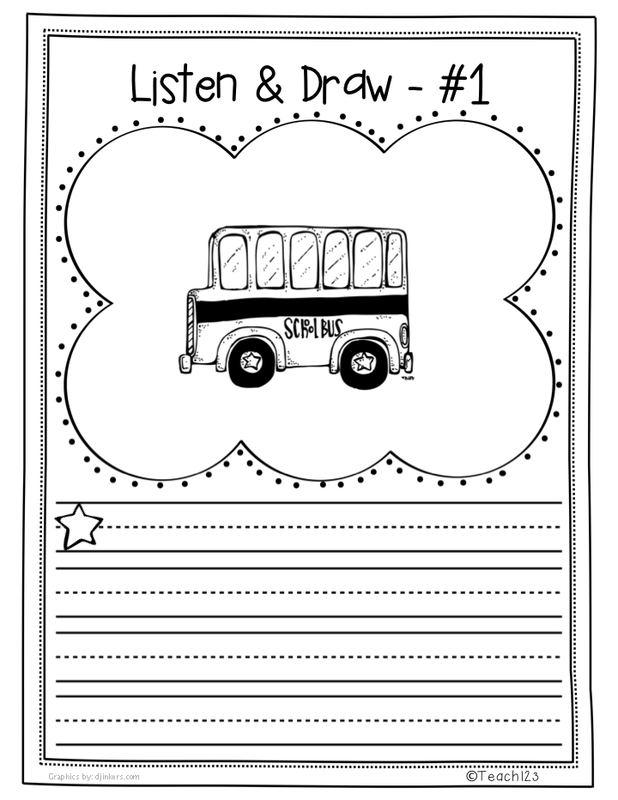 Listen & Draw – Inferences & Superhero lessons are a big hit with students! How do you promote active listening? « Morning Messages – Best Way to Start your Day!